I came across these photos on MLS today. 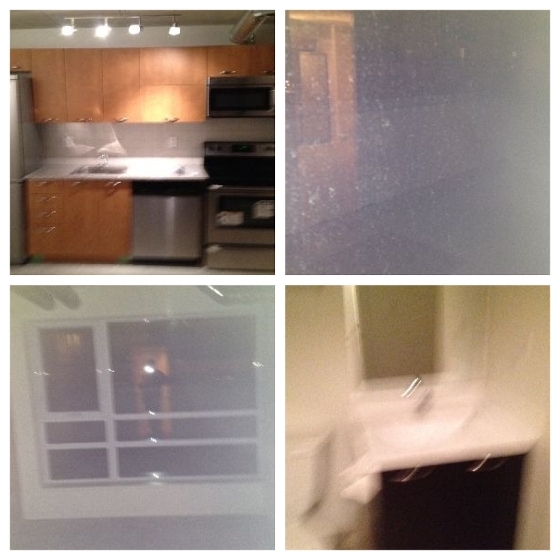 Besides taking such bad pictures, likely with a phone camera, what shocks me is this agent actually uploaded them to the public MLS and felt they would be a good representation of his client's property. Anybody that had some small sense of professionalism or self respect would never have even wasted the time to use these pictures but head back down to the unit and ensure they take new photos. Better yet, they would have actually hired a professional photographer. While bad pictures in real estate listings aren't something new, these are some of the worse I've seen. What is even more shocking is that the client hasn't fired this guy! What's the lesson here? When hiring an agent to manage your largest asset, do your due diligence, hire a professional and make sure you're part of the process, that way if you end up with someone like this you can get rid of them ASAP and save yourself a lot of stress!